Spin your own handmade yarn with our beginner friendly drop spindles. Top whorl drop spindles are a great option for first time spinners. 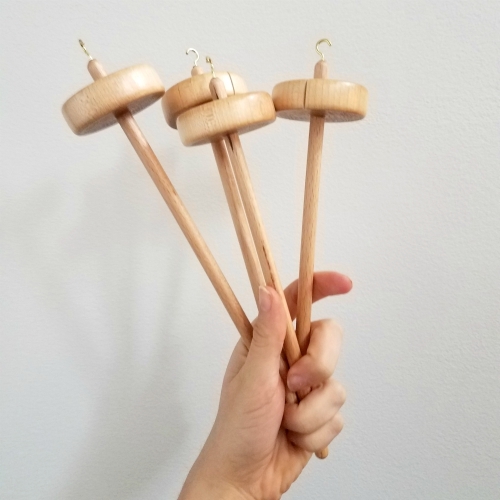 These drop spindles are made from maple and beech wood and weigh 1.8 ounces. The spindle has a 10 inch long shaft with a 2.5 inch concave whorl which distributes weight along the edge of the whorl allowing for longer and more stable spinning. The whorl has a notch to help secure yarn in place while spinning.